Well, afternoon and evening is better than nothing, and it’s easier to do these things spontaneously if the only people you have to answer to are yourself and your clients! 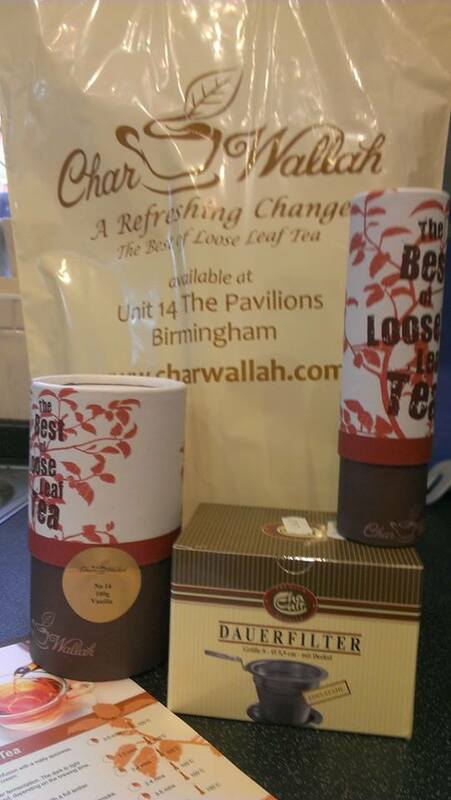 Ali introduced me to Char Wallah as well. Definitely a place to spend time (and money) in when the world has been getting you down and you feel like taking time away from it all. Yes, then it’s quite nice that it’s so tucked away, isn’t it. Thank you for your kind words, we are glad that our concept has been realised “a place to sit and relax” its what tea drinking was invented for! Thank you for your business, please pop in for a relaxing chat and a pot of the finest quality tea available in Birmingham. Thanks for popping by the blog, Andy, and I’m looking forward to featuring you in my small business interviews soon, too!